Sen. Ron Wyden, D-Ore., announced on Monday that he plans to introduce legislation that would restrict law enforcement’s ability to search and demand passwords to the phones and online accounts of foreign travelers. 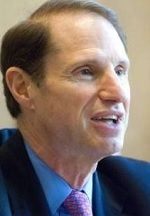 “I intend to introduce legislation shortly that will guarantee that the Fourth Amendment is respected at the border by requiring law enforcement agencies to obtain a warrant before searching devices, and prohibiting the practice of forcing travelers to reveal their online account passwords,” Wyden wrote in a letter to Department of Homeland Security Secretary John Kelly, condemning the practice. “In addition to violating the privacy and civil liberties of travelers, these digital dragnet border search practices weaken our national and economic security,” wrote Sen. Ron Wyden. The letter was critical of recent reports that found Americans being detained by Customs and Border Protection (CBP) agents and pressured to provide passwords to phones and online accounts. According to the letter, not only does this practice “circumvent normal protections” for online data, but it also could cause businesses to reduce company travel in order to protect their data. Such searches also affect the data security of Federal agencies. For example, NASA engineer Sidd Bikkannavar posted on his Facebook page that he had been detained by CBP on the way home from a trip abroad in January. The agents seized his phone and refused to release him until he provided a PIN for them to copy the phone’s information. The phone was issued by NASA’s Jet Propulsion Lab, and Bikkannavar was responsible for protecting the data contained on it. Bikkannavar did eventually provide the PIN in order to be released. “In addition to violating the privacy and civil liberties of travelers, these digital dragnet border search practices weaken our national and economic security. Indiscriminate digital searches distract CBP from its core mission and needlessly divert agency resources away from those who truly threaten our nation,” Wyden wrote. The Center for Democracy & Technology (CDT), a nonprofit organization committed to Internet freedom and user privacy, also condemned the actions of CBP. Wyden’s letter also requests that Kelly respond to questions about the legal authority and frequency of such searches by March 20, 2017. Editor’s Note: This article has been updated to include CDT opposition to the phone searches and seizures at the U.S. border.